Our standard liquid cooled IGBT and CPU cold plates are designed to fit most of the common IGBT and Power electronics configurations used today. 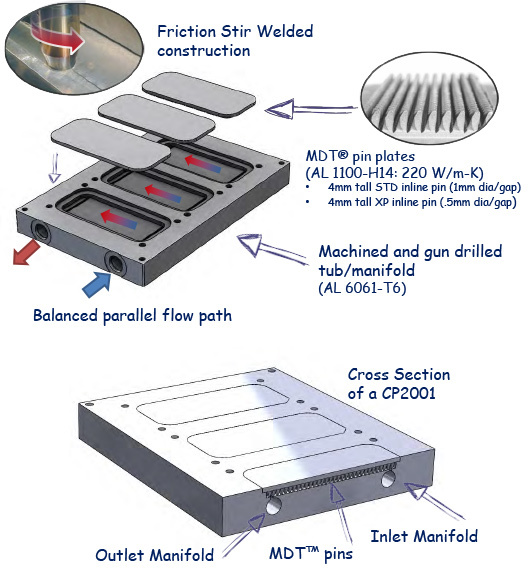 At the heart of each cold plate is our patented Micro Deformation Technology (MDT™) in line pin fin, Friction stir welded construction, and CFD optimized parallel cooling. If these “off the shelf” standard cold plates do not meet your requirements, please contact us to discuss semi-custom and custom cold plate options to meet the needs of your specific application. Which cold plate best fits your application? 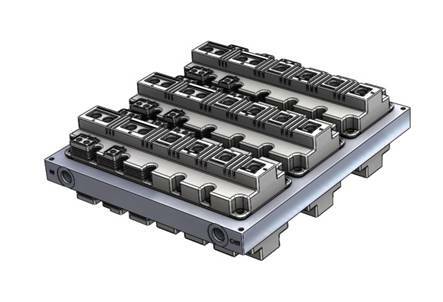 Fitting Options: 3/8th NPT – G3/8th – SAE-6 Cold plate length options: We can cut extrusions to any length to accommodate more or less IGBT modules. 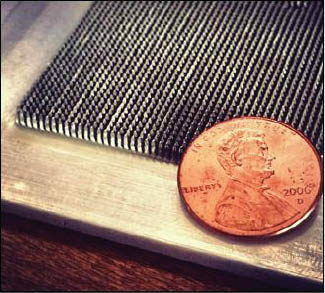 Internal electroless nickel plating for fluid compatibility. Our 2000 Standard Cold Plates Series come in both Standard and XP varieties. 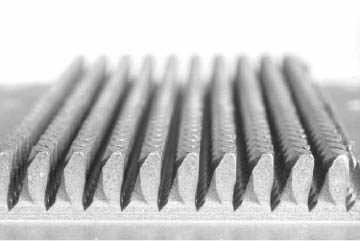 Our Standard Cold Plates have 12 fins per inch, and our XP Standard Cold Plates deliver extreme performance with 20 fins per inch.